Preston is the main city of Lancashire. It has a considerable wealth in its buildings. The West CoastMain Railway Line links the railway station to Manchester, Liverpool, Lancaster, Leeds, Carlisle, Birmingham, London and many other parts of Britain. Preston has Britain’s first motorway. 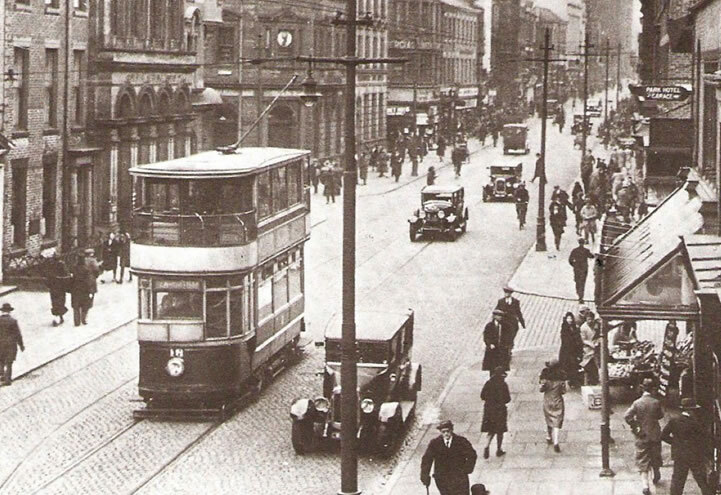 In 1935 the original tramway was scrapped as old fashioned and said to cause of congestion. Traffic congestion got worse after the trams went. Many former tram passengers bought cars and drove. That original tram network would be worth about £1bn at today’s prices. Tramways encourage developers to invest in regeneration and growth. The prices of houses near a tramway rise by about 20%, as an environmentally friendly alternative reduces polluting road traffic. The GUILD Tramway will be fully accessible to everyone, including those with disabilities. The existing footpath and cycleway will be improved next to the GUILD tramway, so some folk will be able to bike and ride from tram stops with bike parking. The Deepdale Retail Park will be easier to access. There will be less traffic jams on Blackpool Road. The biggest benefit will be in the City Centre, giving retailers confidence to improve their stores. Shoppers going to Deepdale can hop on a tram for a different experience. Church Street will being a new city centre hub and staff going to work by tram will be punctual and not need parking, saving time and money. The speed of traffic in Preston has hardly changed in 50 years, presently averaging about 12mph. This is however a remarkable achievement given the significant growth of cars owned by residents and driven by commuters. Presently only 6% of trips in Preston are by public transport (bus) and most trips are by car nearly 70%, which need a lot of land for parking. Experience in Europe and North America proves that trams attract trips from car. The planned Preston GUILD Line will be a starter for a network to link Riverside, the Capital Centre, Penwortham, The Royal Hospital, UCLAN and Park and Ride sites at the edge of the City. Trams will reduce traffic and toxic pollution to more healthy levels. The Manchester Metrolink tramway has transformed the city into a powerhouse in the NW. Many people in Preston work in Manchester and most drive. With the GUILD tram to the railway station, commuters can go by rail all the way. Even older is the Blackpool Tramway, which in Lord Street Fleetwood provides a model for GUILD trams in Fishergate. 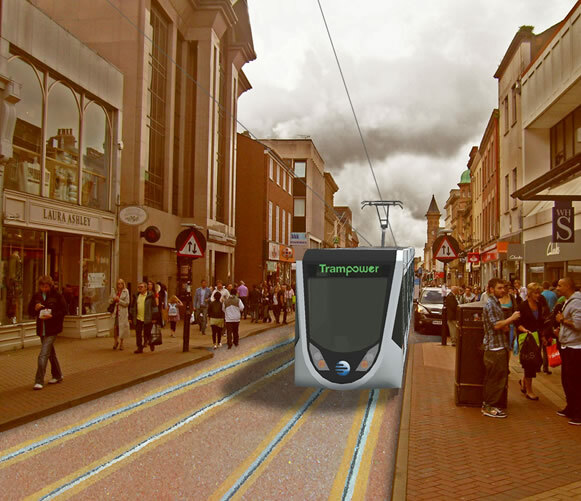 Low impact City Class trams planned for the Preston GUILD Line emits no pollution and are the most energy efficient available. The tramway can be extended to serve other parts of the city. The City Class tram initially will carry 200 passengers, with 2 wheelchair spaces and over 80 seats. It can be lengthened to carry 300 passengers, 4 wheelchairs or baby buggies and over 100 seats. Bicycles may also be carried in off peak times. With the co-operation of the Transport Authority, pensioners with concessionary ‘free’ passes could also ride the GUILD Tram. Otherwise they will have to pay the fare like everyone else, as they have to in Blackpool and Manchester.